Lithuanian literature researcher, pedagogue, Educology expert. Meilutė Julija Lukšienė originates from a famous family active in the Lithuanian culture. She obtained her formal education in inter-war period in Lithuania – in year 1931 graduated from Vilnius Vytautas Magnus Gymnasium, in year 1942 graduated from the Humanitarian Faculty at Kaunas Vytautas Magnus University, obtained Lithuanian literature history speciality (major) and Lithuanian language critic, French literature, Pedagogics specialities (subsidiary).Meilė Lukšienė defended two dissertations: of humanitarian science and doctor habilitatus in social science (sphere of education science). A home of Meilė Lukšienė was full of great respect for the human idea, perception, consciousness and inquiring mind. Her husband Kazimieras Lukša (1906–1983) in the independent Republic of Lithuania was a high economic relations officer, high -level Lithuanian bank employee. 1940–1970 Kazimieras Lukša had been teaching the science of balance, economic analysis and international trade courses at Vilnius University. 1945–1946 he was a dean of the Faculty of Economics. They brought up three children: Dr. Hab. of History Ingė Lukšaitė, an organist Giedre Lukšaitė-Mrazkova, she is a Professor of the Faculty of Music of the Academy of Performing Arts in Prague and a son Rimtis Lukša who is a doctor of Natural Sciences. Meilė Lukšienė is an author and co-author of numerous educational publications and educational strategic documents, she was employed as a teacher, university educator, and during 1951–1958 was a head of the Lithuanian Literature Department of Vilnius University. Meilė Lukšienė was accused of nationalism and anti-Soviet standpoint and was dismissed from the university, deprived of right to conduct research on literature. In year 1959 she was employed at Pedagogics (Education) Science Research Institute as a Senior Research Fellow and served there until 1997. In year 1988 Meilė Lukšienė, being one of the most outstanding authorities among the Lithuanian scholars, was elected a member of initiative group of the emerging Reform Movement of Lithuania – Sąjūdis – the one to turn into the most important power of Lithuania to restore the independent statehood in year 1990. She rallied a group of Lithuania Republic Education Reform, acted as one of the most important creators of the first independent Concept of Lithuanian Education and the related education documents. She nourished the young generation of education science scholars and the managers of education. She paid immense attention to the education principles new to the Lithuanian society – humanism, democracy, national identity – their introduction and dissemination at public discussions and the mass media, the interrelations between the education and culture. The scientist made every effort to raise many gifted education managers and scientists involved in the development of practical educational change strategies that meet the democratic aspirations of education. In year 1989 Meilė Lukšienė was awarded the title of emeritus scientific actor. In 1994 – the 5th Class Order of the Lithuanian Grand Duke Gediminas. In 2003 she was awarded the Great Cross of the Knight Commander of Vytautas Magnus. In 2004 Meilė Lukšienė was awarded the Jan Amos COMENIUS UNESCO medal for her personal contribution in the scientific and practical fortifying education as the basis of creating the state. The significance of her works proves M. Lukšienė to be a scholar of European orientation and global level; a personality, who has significantly contributed to the development of democratic society and modern education and in 2007 she was given an Honourable award by the Ministry of Education and Science. Meilė Lukšienė was the first in Lithuania to scientifically base the methodology of democratic education based both on historical and the contemporary development aspects. Her scientific creations are characterised by the integral humanitarian and social sciences principle, which continues its immense impact on the education theory science development. The scholar related the development of Lithuanian pedagogical thought with the general issues of the national culture. Thus her investigations were distinguished for their culturology aspects and extensive viewpoint. Her scientific works were conducted on the verge of three fields of science – pedagogy, literature and culturology, and surpassed the prevailing investigations of those times, concentrated on the narrow specific issues of school system, didactics. Meilė Lukšienė raised essential questions of the orientation of the Lithuanian education system, namely: ratio of nationality and universality; education of cultural identity; continuation of the cultural tradition and modernization of education; social justice. Then she formulated the ideal of education, which served as basis for the new content of education at school: a person who is moral, active citizen, independent thinker, creative and able to intake a variety of cultural values and act in a constructive way. The public discussions of these topics turned into an important factor of the change of pedagogic mentality and the overall mentality of the society. A valuable trait of M. Lukšienė was her ability to get and embrace the newest information from a variety of sources, analyse the Western Europe education systems and the tendencies of their development, the newest ideas of education science, and to foresee the ways of their application in Lithuanian context. Meilė Lukšienė was able to communicate, to read in several languages – the Lithuanian, Polish, French, Russian, and German, thus was non-formally, intensively learning from a variety of sources of literature world-wide. Meilė Lukšienė had a characteristic deep systems-oriented thinking. In all investigations conducted she considered the independent education system to be among the guarantees of statehood, while the presence of direction, purpose and capacity to embrace all possible layers of the society by the education system – one of the conditions for successful existence of the state. Meilė Lukšienė merited a lot as during the restoration of Lithuanian independence in year 1990 Lithuanian education met already having a conceptual Europe-orientated future education model. It was used as a basis to create the General Concept of Education in Lithuania (1992), which delineated the directions of the national education system development. The essential education principles chosen were humanism, democracy, national identity and renewal. The theoretical basis for education development the humanistic education paradigm, the holistic education concept was chosen. The education system was based on European culture values – personal worth, natural equality of people, freedom of consciousness, tolerance, democratic relations within society. The education was titled as the basic factor of the society development, the fundament of all social reforms, thus a task was formulated to overtake the general development of the society and be its leader. The Organisation for Economic Co-operation and Development (OECD) experts in year 1999 assessed the Lithuanian education and admitted that in Lithuania does exist a solid conceptual basis for reforms („There is a strong conceptual foundation for reforms“) and Lithuania presents the best example of the major document – the General Concept of Education in Lithuania of 1992 – its creation and development. The main author of these works is Dr. Hab. Meilė Lukšienė. In her public and educational activities Meilė Lukšienė always was distinctive by her faith that a person has capacity to change oneself and his/her social cultural environment towards humanism. By her overall activities she modelled not only education, but also the future of the state – a modern Lithuanian nation, open society, democratic state. She considered the education of a competent person for a democratic state to be among the major goals of education. Besides, the researcher always considered competence to be not the narrow professional qualifications of the subject matter, but the overall readiness to actively operate in a society, be responsible for the life in the society, create its culture, to regularly react to the challenges of the development in the world and its changes, thus get ready for lifelong learning. The approach of M. Lukšienė is in special resound with European and global orientation of education of the 21st century and the goals of educational systems. The significance of her works proves M. Lukšienė to be a scholar of European orientation and global level; a personality, who has significantly contributed to the development of democratic society and modern education. 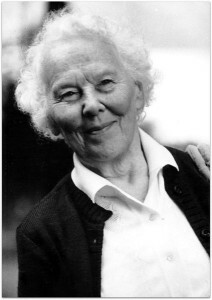 100th anniversary of the birth of Meilė Lukšienė, professor and social scientist (1913–2009) is celebrated by UNESCO. The celebration of the 100th anniversary of the birth of Meilė Lukšienė, winner of the 2004 UNESCO Jan Amos Comenius Medal, would highlight the role of culture in education. Her contributions are important in raising cultural awareness with modernization of education and social justice, and continue to influence development of education, science, and culture in Lithuania. „Ugdyti – reiškia perduoti kultūrą ir parengti žmogų, kad jis galėtų kūrybiškai joje dalyvauti – ne tik tinkamai vartoti kultūros gėrybes, bet ir gausinti jas“.